A hair oil – extracted from the nuts of macadamia tree – has been the inspiration for the creation of Macadamia Healing Oil Treatment. The product is intended for the intensive moisturising and smoothing all hair types. It reduces blow-dry time by 40-50%, protects from UV radiation and delivers long-lasting smoothness. It is commonly used during colouring because it keeps the colour from fading..
… can be compared to the effects delivered by a hair conditioner. 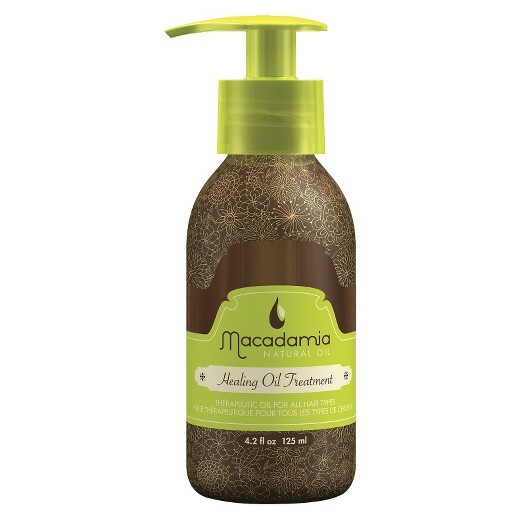 Macadamia Healing Oil Treatment ensures gloss and softness after the very first application. The effect lasts if you use it regularly. The hair is easier to detangle and style. … abounds in silicones that are responsible for the smoothing properties of the product. Luckily, these silicones can be easily washed off with a shampoo. There is also vitamin E and two hair oils that excellently nourish. Sadly, Macadamia Healing Oil Treatment is not all-natural. The additional preservatives and fragrances prevail. … is quite runny. The colourless and silky formula is easily absorbed into the hair. It is a smooth and quite thick hair oil that easily spreads on the hair without leaving a greasy layer. It is a truly cost-effective product because you need a small amount for one application. The aroma resembles male perfume; oriental and very intense. It’s a shame that the scent won’t appeal to everyone. … involve two possibilities: applying to dry or wet hair. You must apply a small amount of Macadamia Healing Oil Treatment to the hair throughout its length. You can comb the strands to spread it evenly. The hair oil is also suitable for enriching other products (dyes, conditioners) and intensifying their effects. … is a plastic bottle in the natural shades of dark brown and juicy green. Surprisingly, Macadamia Healing Oil Treatment is available in four size versions: 125 ml, 30 ml, 10 ml or (sample) 3 ml. The smaller bottles lack a dispenser which is uncomfortable. Only the biggest version has a pump that eases the application.